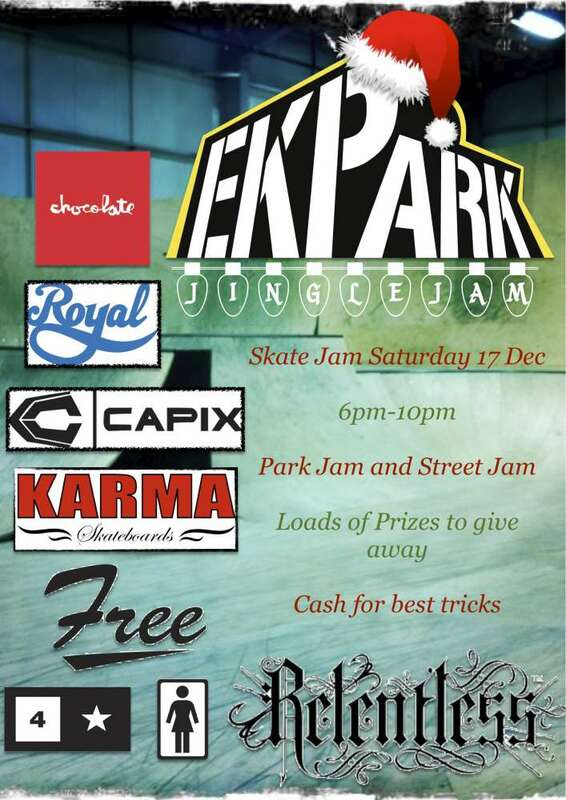 EK Park in East Kilbride are hosting a christmas skate jam on Saturday 17th of December from 6 to 10pm. Loads of prizes to give away and cash prizes for the rippiest of the rippers. Get yer Chrimbo Skate legs on see you there.